What can be more classical, than a combination of black and white? Like Yin and Yang, like piano keys, like a retro movie. The modern silver color is added to this classical combination, what breathes new life into the standards of classics. 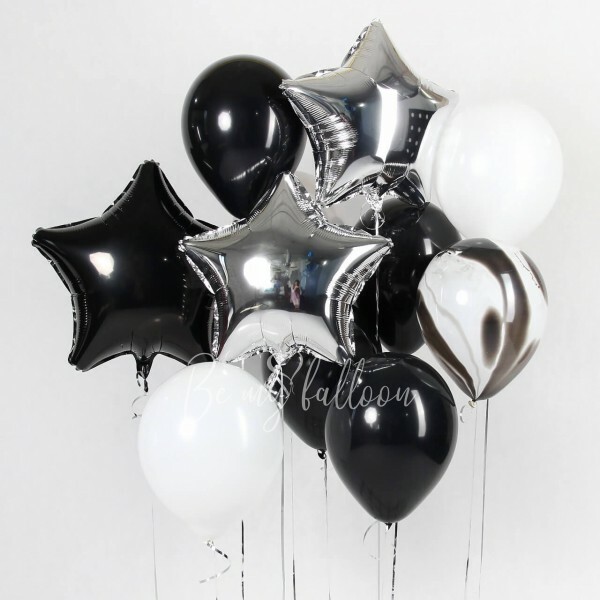 The set includes: - 3 foil stars 20" - 1 marble balloon 11" - 5 latex balloons 11"